February 2018 RE/MAX National Housing Report! Michael Kozlowski #1 Individual RE/MAX Agent in the State of Colorado! Already selling homes for Over Full Price in 2018! 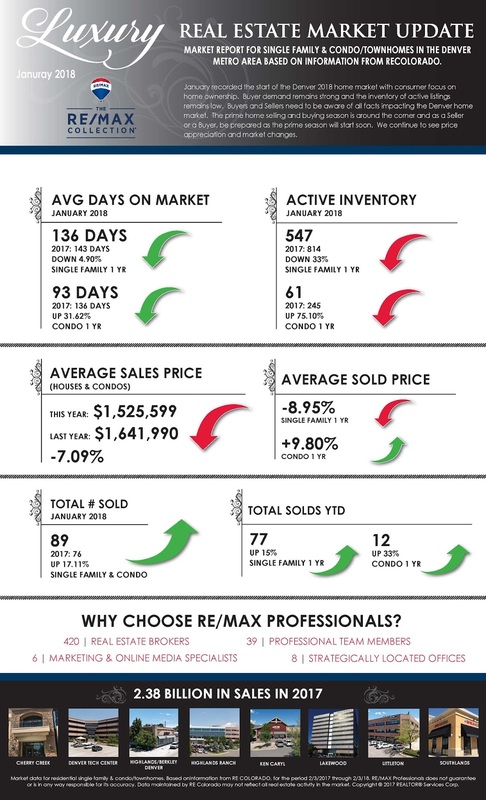 The February RE/MAX National Housing Report shows that buyers may not be waiting for the typical spring selling season to begin! While home sales were down just slightly, year-over-year, houses for sale didn’t spend much time sitting on the market. Are you ready to make a speedy home sale or purchase? Contact me today! 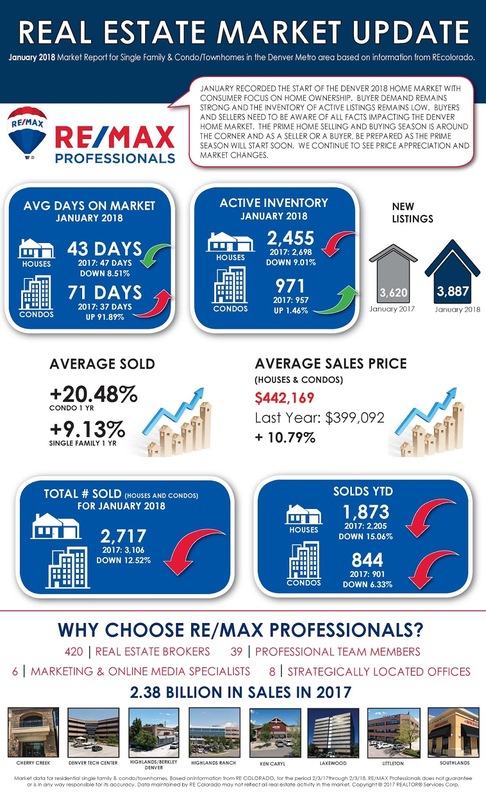 Dig into the details of the February 2018 RE/MAX National Housing Report in the infographic below. 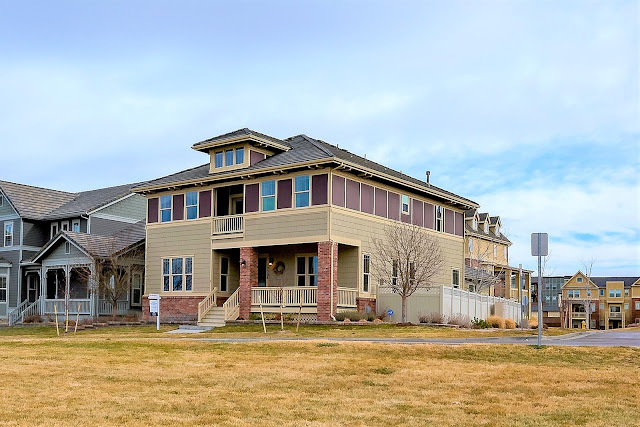 Denver Real Estate Market Update February 2018! January recorded the start of the Denver 2018 home market with consumer focus on home ownership. Buyer demand remains strong and the inventory of active listings remains low. Buyers and Sellers need to be aware of all facts impacting the Denver home market. The prime home selling and buying season is around the corner and as a Seller or a Buyer, be prepared as the prime season will start soon. We continue to see price appreciation and market changes. Recognizing that “Housing Forecasts” predict a healthy real estate market for 2018, Seller’s need to be aware that the housing market is forecasted to be a Seller’s market due to strong Buyer demand, relatively low inventory of homes for sale, and reasonable price appreciation. With this being said, here are some top tips for 2018 Seller’s. List your home during the prime home selling and home buying season which is just around the corner. Strong Buyer demand will benefit Sellers. Second, price your home to the market. Beware of pricing for homes sold in or near your neighborhood or are a similar home to yours. Third, consider what you as a Seller needs to do to your home or if you may need to offer incentives to make the home more marketable. Denver will see many Buyers from all over the world and consumers will continue to focus on home ownership. The 2018 housing market is forecasted to be primarily a Seller’s market mainly due to strong Buyer demand and low inventory of homes for sale. The prime home selling and buying season is just around the corner and expect another market frenzy year. As a Buyer, be the early bird and get into the home market now, do your homework, and be approved for the best mortgage option for you, consider buying a new home that meets your expectations, and look at the entire home market. Be aware of moderate home price appreciation and potential increase in mortgage interest rates. Create your home buying plan and stick to it.